Your body is a machine that constantly reinvents itself. Every minute of every day, it breaks down its own tissues and replaces them with new stuff it makes from a combination of the food you eat and recycled material it scavenges from other tissues. No matter how old your Facebook profile says you are, your component parts are considerably younger. Even your bones replace themselves every 10 years. By that standard, your muscle cells, with an average age of 15 years old, are the adults at the party. Your workouts will cause the protein in your muscles to break down and build up much faster than it does in ordinary circumstances. In fact, when you work out with the goal of becoming more awesome than you are now, the entire point is to get that protein to turn over. But it only helps if you end up with more than you had when you started. There are two ways to do that. 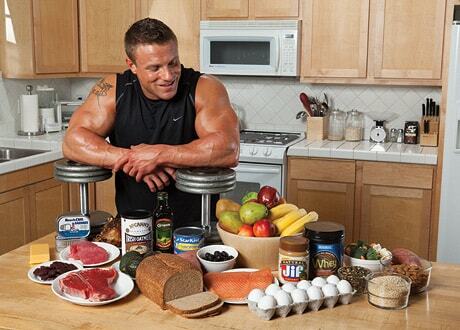 The first, and by far the easiest, is to eat more protein than you currently do. Protein, all by itself, is anabolic. It wants to be stored in your muscles. The second is to work out in a way that disrupts your muscles and forces them to respond by getting bigger and stronger. The combination of a diet rich in high-quality protein and a great strength-training program is the oldest, best, and only non-pharmaceutical way to reach that goal. 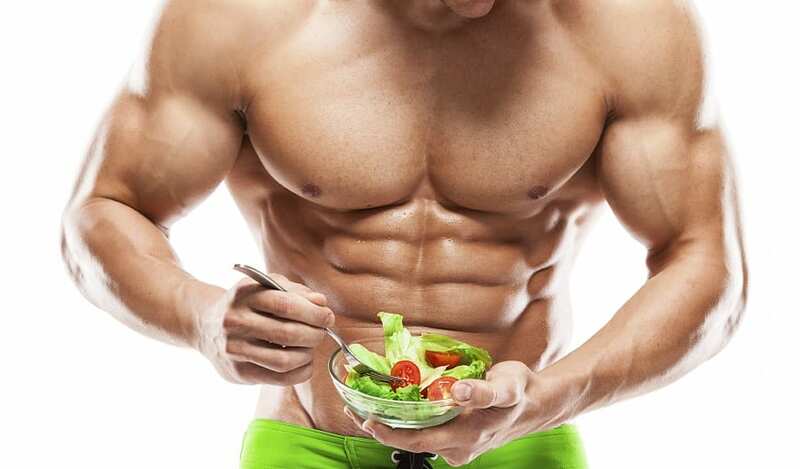 This article will show you how much protein you need to eat, and when. A 2007 study in the Journal of Applied Physiology found that muscle size increases 0.2 percent per day during the first 20 days of a strength-training program. That growth is over and above the high rate of muscle-protein breakdown that’s occurring simultaneously. This explains why the guy who’s just starting out, or returning from a layoff, needs more protein than the weight-room warrior who’s been training for years without a break, and who is at or near his genetic ceiling for strength and size. But it’s the beginner who’s least likely to worry about his diet, and most at risk of not getting as much protein as he needs. How much is that? A good target is .73 grams of protein per pound of body weight per day. For a guy who weighs 180 pounds, a day’s worth would be about 130 grams.